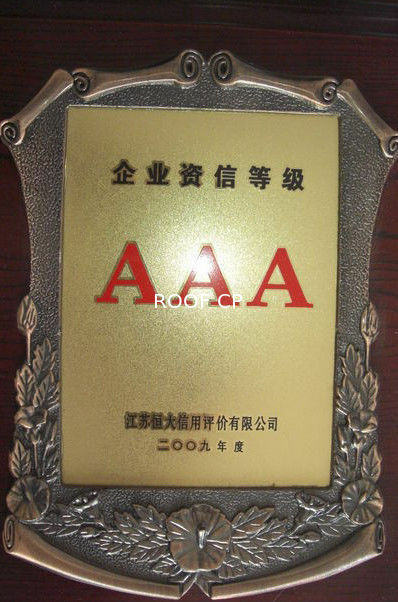 We can design and manufacture the special type machine according to the customers’ requirement and we could provide technical guiding, production, installation, debugging and maintenance service to all customers. 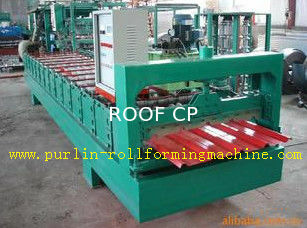 Corrugated roof sheet roll forming machine is widely used to produce the metal roof and wall cladding. It is becoming the most popular roof and caldding style in many countries. 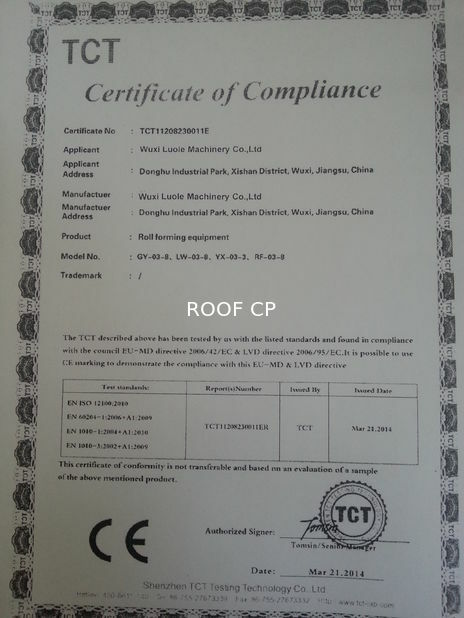 The whole line of corrugated roof sheet roll forming machine is composed by decoiler(automatic or manual) for coils from 5ton to 10ton, roll forming machine include the guide and feeding device. cutting blade drived by hydraulic power and auto stacker or manual stacker for finished products. This line can be automaticly running by inputing the length and batches into the PLC control system. Easy operation: Directly input the data on the touch table screen. Customers may decide the profile of products. This kind of machine has the best quality and the best price. It has accurate measurement and easy operating. 1. Thickness of raw material: 0.3-0.8mm, depends on your request. 2. 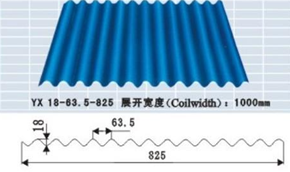 The coil material width: 1000/1200/1250mm depends on your request. 3. 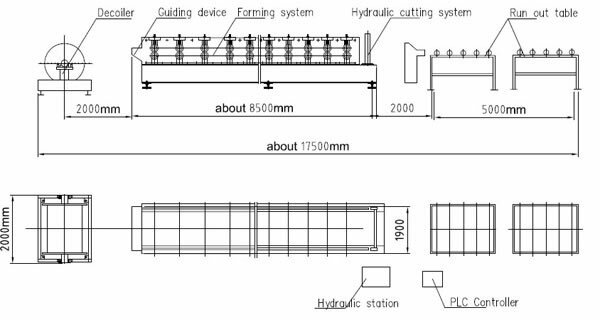 Cutting of trapezoidal forming: hydraulic guide pillar cutting. 4. 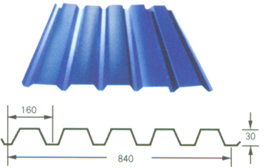 Color of profile sheet forming machine: blue or as your request. Metal roof wall panel; steel roof wall panel; metal roofing sheet; steel roofing sheet; metal roof panel; steel roof panel; roof wall cladding; roof cladding; wall cladding, wall panel. 1. 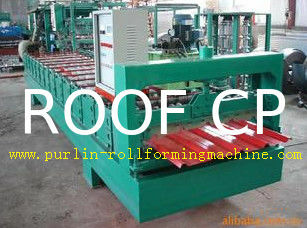 We can make and design all kinds of roll forming machine according to customer’s requests. 2. This kind of machine has the best quality and the best price. It has accurate measurement and easy operating.